Great videos of Wilko, Norman and Dylan in action! If you weren’t lucky enough to catch Wilko and the boys on their recent tour of Spain (or indeed Sweden, which was a blast!) sponsor Estrella Galicia 1906 has sent us these great videos of the chaps in action, plus a lovely interview with the man himself. Big thanks to everyone who came to the shows! Julien Temple’s The Ecstasy Of Wilko Johnson was released in select UK Cinemas from July 17th following a charity première in aid of Teenage Cancer Trust. The film confronts our worst nightmares of impending death and turns them upside down. 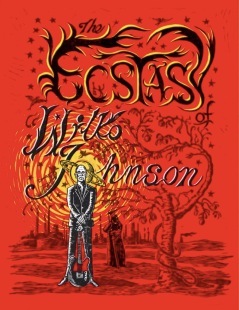 It tells the extraordinary, yet universal story of legendary musician Wilko Johnson who, diagnosed with pancreatic cancer and given a few months to live, accepted his fate with uplifting positivity and embarked on a farewell tour, capturing the imagination of the world as he went. Two years later and confounding the odds, Wilko wakes up in a hospital bed, unexpectedly sentenced to live, having now to integrate those enlightened lessons learnt under sentence of death into the unexpected and ongoing future of his life. “If it’s going to kill me, I don’t want it to bore me.” Wilko Johnson. 100% of profits from the Charity première evening on July 7th are being donated to the Teenage Cancer Trust,with a further 10% of net profits from the film itself going to the charity. On the evenings of March 6 and 10, 2013, Koko in London’s Camden Town opened its doors to 1,500 music fans who knew they were about to witness an extraordinary event. The venue – known as the Music Machine in the punk days and the Camden Palace in the ’80s and ’90s – has down the years seen many legends play its stage, from Ellen Terry the Victorian actress, to The Goons who recorded some of their BBC shows there, to The Clash, Madonna, Prince and many more. But this week the honour was reserved for a man with a special place in the hearts of lovers of raw, honest, exhilarating rock’n’roll music: Wilko Johnson.